Actor Vishal is on cloud nine with his post as a president of Nadigar Sangam and his movies getting positive response. He is releasing his movies back to back in a very short span of time. Muthaya who is known for his village and massy action flicks is coming with Vishal this time in the name of Maruthu in Tamil and Rayudu in Telugu. Maruthu which released a week back in Tamil opened to a very positive reviews. It is releasing today in Telugu. Let’s see how it works on us. Rayudu (Vishal) has been brought up with all good virtues that he does not accept any disrespect to women, thanks to his responsible grandmother Annamma (Leela).Everything goes well for Rayudu, as he lives a normal life with a doting grandmother and close friend Maghadeerudu Kokkarako (Soori) in Anantapur until they meet Rolex Bachi (RK Suresh), a powerful local thug turned aspiring politician. Meanwhile, there is an unsettled enmity between Rayudu’s ladylove Baghyalakshmi (Sri Divya) and Rolex Bachi as the latter brutally murdered the former’s mother. Now Baghyalakshmi files a writ against Rolex through her lawyer dad Srinivasulu (Marimuthu) but it’s not that easy. Can Rayudu helps his ladylove? Also, there is a back story that connects Raayudu to the death of Baghyalakshmi’s mother! This questions form the rest of story. 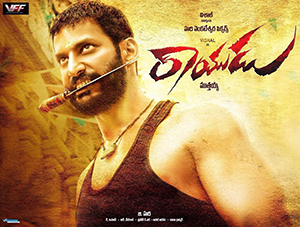 Rayudu character is a tailor made to Vishal. He played it with so much ease. His slang is good. Sri Divya is perfect in her role BhagyaLakshmi which is very bold and powerful. Soori as Maghadeerudu Kokkorokko is show stealer. He is a laugh riot in the movie and is at his best. Radha Ravi as Bhairavudu is nice and played his role with superb conviction. Leela as Annamma is superb in her role. RK Suresh as Rolex Baachi is nice and is a perfect choice. Marimuthu is good. Other actors played well. Story of Rayudu set in a village backdrop is routine. Dialogues are good. Screenplay is good. Songs composed in this Telugu version is for the name sake only. Makers should have taken care of them. Background score composed by D Imman are superb and elevates movie at places to the next level. Cinematography by R Velraj is nice. He made movie look so authentic with his visuals. Editing by Praveen KL is sharp, but should have trimmed a few scenes in second half. Action sequences composed are well suited for Vishal. ANL Arasu has done superb job. Production Values are good. 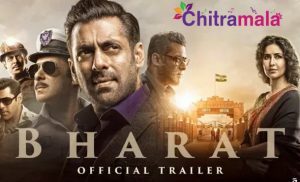 First half of the movie do not reveal much story. It is just setting up of premise and introduction of characters. Screenplay is racy and sharp. Soori as Maghadeerudu Kokkorokko provide ample laughs with Rayudu and Annamma. Sri Divya as Bhagyalakshmi is shown as a very bold and struggling character. Lots of village nativity and comedy gets movie going. Fight scene where Rayudu saves Bhagyalakshmi and his father is picturised very stylish and neat. It is where flash back starts and interval begins. After interval, flash back begins and screenplay begins falling. Many twists are revealed. With this conflict between Rolex Bachi and Rayudu begins. After a lot of hassles and conflicts movie ends with a good climax. Director Muthayya has done a very good job with first half and he failed to handle screenplay in the second half. As the movie is made in Tamil, there is a lot of tamil nativity. Telugu audience might not connect to that. Biggest drawback of the movie is its songs for which lyrics are unfit for their tunes. They are put for the namesake. With these type of songs, very well picturised songs are also ignored. They come as a speed breakers at regular intervals. To sum up, Rayudu is a mass movie of Vishal’s style.